Memorial services for Robert E. Nealis, 74, of Apache, will be held Thursday, November 1, at the Oakridge Christian Camp and Retreat Center, 20007 State Highway 9, Anadarko, Oklahoma, 73005. Services will begin at 10:00 A.M. with a lunch to follow at the main dining hall. Robert E. Nealis was born March 30, 1944, in Mulhall, Oklahoma. He was the son of Leo Nealis and Myrtle Warrick, both residents of Guthrie, Oklahoma, and the brother of Edith Savory, of Guthrie, Ruby Nealis Kaiser, of Woodstock, Georgia, Rosanne Rappy of Guthrie, Oklahoma, and Terry McBane, of Guthrie, Oklahoma. Robert attended Guthrie High School and was a proud member of the Naval Services for over twenty years. After serving his country, Robert became a safety technician for Kerr-McGee Industries, where he completed his second retirement. 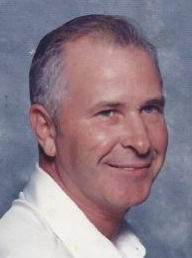 Robert is survived by five children, Randy Nealis and Tammy Lindsey of Anadarko, Oklahoma, Mike Schmidt of Stecker, Oklahoma, Deonne Quisenberry and husband Michael Quisenberry of Houston, Texas, Michelle Brown and husband Lynn Brown of Cashion, Oklahoma, and Robert Nealis Jr. and wife Sandra Nealis of Apache, Oklahoma; 10 grandchildren, Kyle Lindsey of Apache, Oklahoma, Danyelle Geionety of Fannette, Texas, Lisa Smith of Yukon, Oklahoma, Trevor Nealis of Anadarko, Oklahoma, Kaisha Howell of Littleton, Colorado, Jacob Howell of Apache, Oklahoma, Karley Quisenberry of Norman, Oklahoma, Lily Brown of Cashion, Oklahoma, Abigail Brown of Cashion, Oklahoma, and Michelle Nealis of Apache, Oklahoma; 5 great grandchildren, Lexi Smith of Yukon, Oklahoma, Landon Smith of Yukon, Oklahoma, Elijah Hale of Yukon, Oklahoma, Cameron Geionety of Fannette, Texas, and Conner Geionety of Fannette, Texas. Robert is preceded in death by both parents; one brother, Don Nealis of Guthrie, Oklahoma; and many other extended family members.